Tommy Banks’s Michelin-starred restaurant, The Black Swan at Oldstead, has partnered with Yorkshire’s Cooper King Distillery to create a range of bespoke spirits. The products will feature on The Black Swan’s drinks list and will also be served at Banks’s new restaurant, Roots York, opening in the centre of York this autumn. Production for the new range started on 26 July 2018. The first distillate contains marigold flowers grown in The Black Swan’s kitchen garden, and are picked and vacuum-distilled on the same day. More spirits will be distilled as other fruit, flowers and herbs come into season. 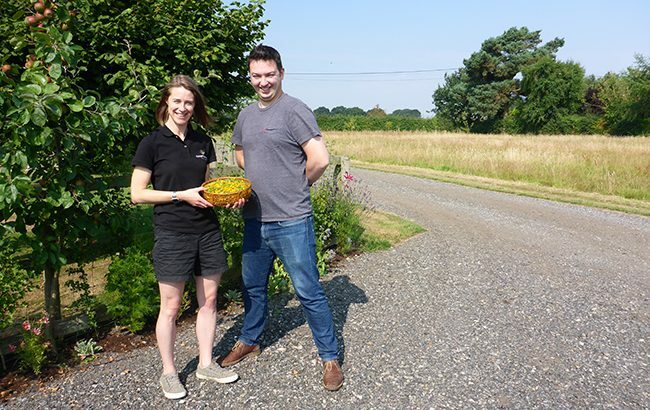 Cooper King Distillery, billed as England’s “smallest” whisky distillery, was opened by couple Abbie Neilson and Chris Jaume last year. Its first product – Cooper King Dry Gin – launched in June. Considered one of the UK’s finest restaurants, the family-owned Black Swan’s food programme is headed by Tommy Banks, who in 2013 at the age of 24 became Britain’s youngest chef to receive a Michelin star. “It has been inspiring to follow Abbie and Chris’s journey in setting up Cooper King Distillery,” said James Banks, co-owner of The Black Swan. “With their infectious enthusiasm and meticulous attention to detail, it is no surprise that they are doing so well.